Fun one to run laps on. 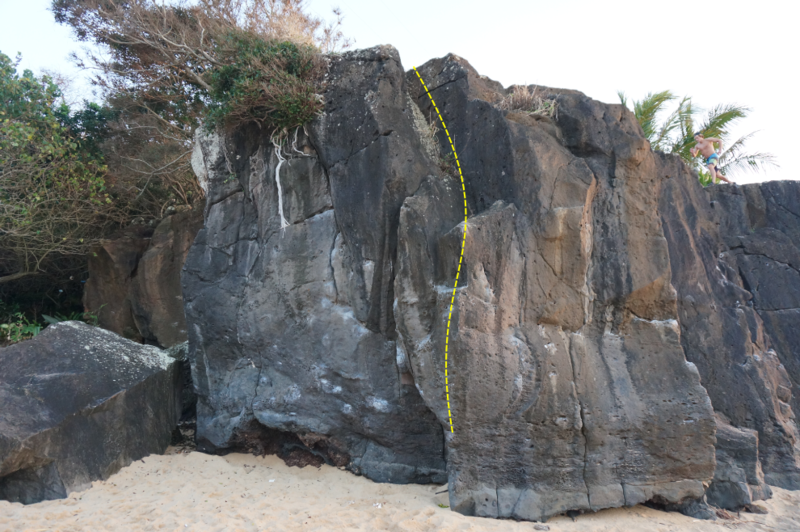 Start matched on the big slot (if sand level will allow it), and climb up the arete on good crimps and jugs. Match the sloping ledge and reach higher for a good sidepull to get you up and onto the ledge. Climb the easy dihedral to top out.